Over the last year, Apple CEO Tim Cook has made it a point to call out tech companies for indiscriminately collecting data on users and disregarding concerns about privacy. But one issue with his criticism is that Apple gets paid a boatload of money from Google for making its search engine the default on its devices. In a new interview, Cook finally addressed that issue. One: I think their [Google’s] search engine is the best and that’s very important. But two: Look at what we’ve done with the controls we’ve built in. We have private web browsing. We have an intelligent tracker prevention. What we’ve tried to do is come up with ways to help our users through their course of the day. It is not a perfect thing. I’d be the very first person to say that. But it goes a long way to helping. Private web browsing is fine and the intelligent tracker prevention in Safari helps users control whether cookies follow them around the web, although Google quickly found a workaround after the feature was announced. But Tim’s argument that Google is the browser of choice is difficult to argue with. Apple could set the default search engine to one that’s focused on privacy like DuckDuckGo, but that would be like selling a Bentley with fake leather seats—or at least that’s what Cook seems to be arguing. He did not specifically address the annual revenue Apple takes in from Google, but financial analysts estimate it lies between $3 billion and $9 billion. DuckDuckGo could never pay Apple that kind of cash, and with growth in device sales slowing down, Apple is increasingly relying on services to create new opportunities. In the fourth quarter of 2018, Apple had $62.9 billion in revenue, $10 billion of which came from services like iCloud, Apple Music, and that lucrative deal with Google. 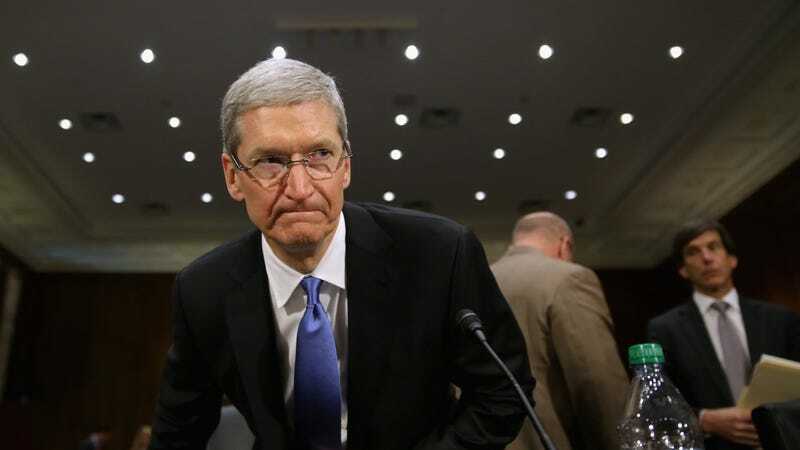 Tim Cook: Tech Is Dividing People, But Also Could We Slash Apple&apos;s Taxes Already?